Caden? Almost a Year? Surely not? Yes, we are alive and well… it has been a little while, ok, a LONG while, try Feb. 15, since our last update. We have been TOO busy, all of us, but we are all good. Caden has two new cousins (both of Jennifer’s sisters successfully had little girls in the last two months). Caden is crawling everywhere, not slowing down AT ALL and threating to start walking, and rightly so, he will be a year or 12 months or 365 (really 366) days, should I stop? maybe one more 8,784 hours old, next Friday! â€œDonâ€™t play with your food!â€ â€” Yea right! Here is a product that encourages you to play with your food, so of course you know that I like it! I remember seeing this product on TV a while back. I think it is a pretty goofy but fun way to make ice cream. 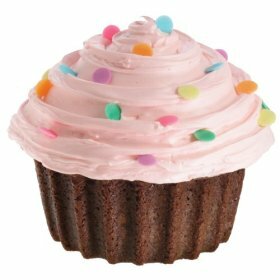 Especially if you are wanting to work off those calories you are about to eat in 30-40 minutes, then I guess it is a good idea? huh? Fill the ice end with as much ice as possible, then add rock salt. Mix up your ice cream ingredients in a container, then pour the mix into the end with the metal cylinder. Have a ball! Shake, roll, and pass it around as you mix and freeze the ingredients. After about 10 minutes to 15 minutes, open the ice cream end, scrape down the sides, then check the ice end , pouring out the excess water and add more ice and up to 1/3 cup more rock salt. 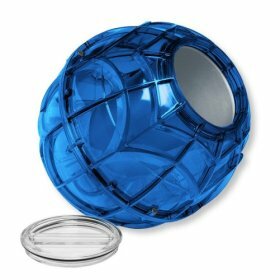 Close the lids securely and continue having a ball for approximately 5 to 15 more minutes. There is nothing like cooking with fresh herbs, but they are expensive. I’m all for growing them, but that can be time consuming and frustrating if you, um, uh, forget to water them. One exception, in our yard, is our rosemary TREE, ok, really it is a bush, but it could pass for a small tree. You can’t kill that stuff which is great! For other herbs, I’m wondering how well this little item would work? 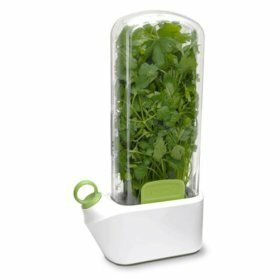 One other cool product, very similar to the Herb Savor, that I found locally and use all the time is “Gourmet Garden Herb Blend.” (http://gourmetgarden.com) We buy it locally at Super 1 Foods. It lasts up to 3 months and tastes pretty darn good. Basil and Parsley are the two we use on a regular basis. 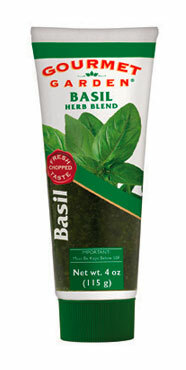 I use basil in just about everything and it is expensive to buy the fresh stuff and the dried just doesn’t taste the same.Â This alternative is the best I have found. Look for it at your local market, I bet you’ll like it as much as I do. Caden has a birthday coming up soon, June 6, to be exact. Yes, it has flown by, just as everyone said it would. 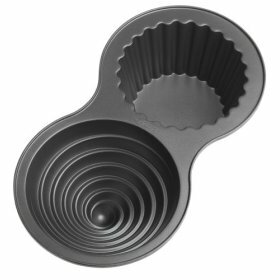 While looking for different birthday cake pans, I ran across this Mega-Cupcake pan that I thought was lots of fun. I think it would be a creative birthday cake, but it isn’t the one we decided to use (at least this year) and yes you will have to wait for a future blog to see the pan we decided to use for his first birthday).